The Far Red powerPAR LED Bulb is Hydrofarm’s exclusive spectrum-specific LED bulb for far red color. It allows you to give your plants usable light in the far red range for the flowering/fruiting growth phase. Far red light is in the range between 710 and 800 nanometers wavelength, and for many plants it is critical for flowering. 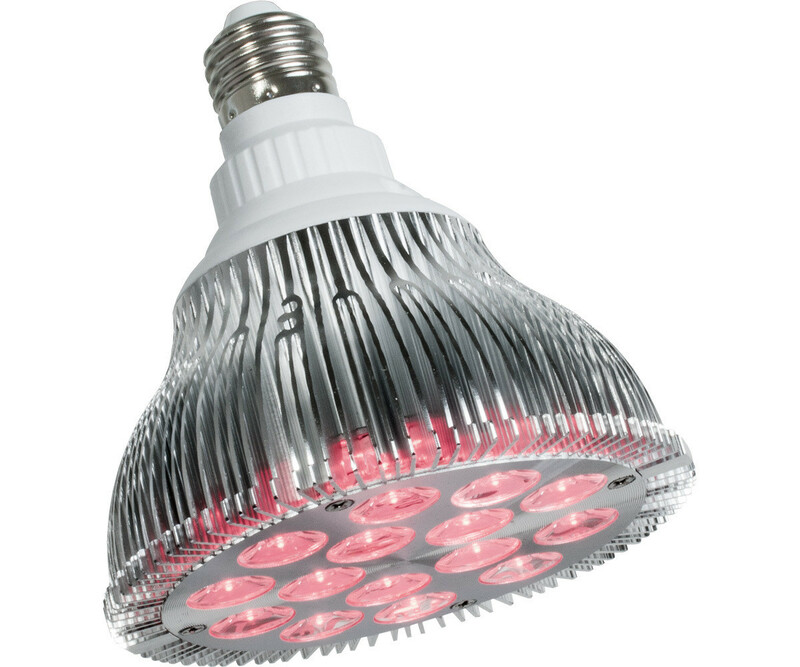 With low heat generation and light output equivalent to 130 watts of traditional incandescent grow lights, these bulbs are ideal for supplemental light. An application would be to set up several powerPAR bulbs pointing into the lower canopy. The energy consumption of these bulbs is low, and their service life very long—50,000 hours—making them cost-effective for supplemental lighting applications. And they fit into a standard incandescent light socket, making them easy to set up with common spotlight, work light, and other fixture types.